Big thick blanket for couch nesting. Check. Mug of something hot – possibly with a generous splash of something fiery to really warm the cockles. Check. Very bright lights on, full bore. Front door securely triple-locked. Hang on. Lights? Locks? I thought you were setting the scene for some cosy winter viewing. Long hours of nesting on the couch? Well yes. And no. We ARE talking great winter TV, but cosy? Not so much. This is the sort of viewing that gives a whole new meaning to ‘cold case’. Right now, SBS On Demand has a particularly fine brace of chilling (sorry, couldn’t resist) cold-climate drama series on offer. Ah, so brooding heroes. Nordic-noir. Stunning winter vistas. Puzzling clues in the snow, that sort of thing? Look, how about we run through three shows we think should be top of your lock-the-doors viewing and you can figure out how many rugged up late nights on the couch you’ve got to look forward to ̶ because the good news is that every available episode of all three are waiting for you right now. That’s hours upon hours of crackingly good ‘cold cases’. Rug up and settle in. Who has jurisdiction when a body is found on the border between their two countries is the least of the issues facing Austrian police inspector Gedeon Winter ( Nicholas Ofczarek) and German detective Ellie Stocker (Julia Jentsch). As their investigation unfolds, the body count rises, with the symbolically posed victims suggesting links to pagan rituals. Taking inspiration from Scandinavian hit The Bridge, the eight episodes of Pagan Peak throws intense work and personal challenges at the pair. The hunt for the killer leads them deeper into the darkness of a twisted mind and archaic Alpine customs. 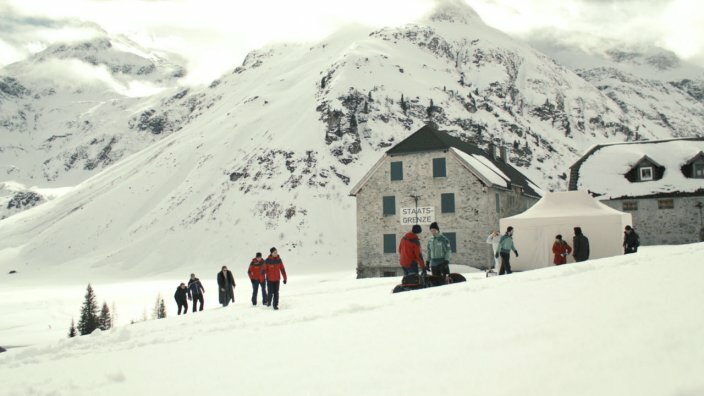 It all starts in the snow, it goes back here too, and the icy-cold alpine vistas are as much stars of the show as Jentsch and Ofczarek. As snow and storms isolate a small Icelandic town, a body is found in the icy waters of the fjord. Without a head, arms or legs, it’s unrecognisable. 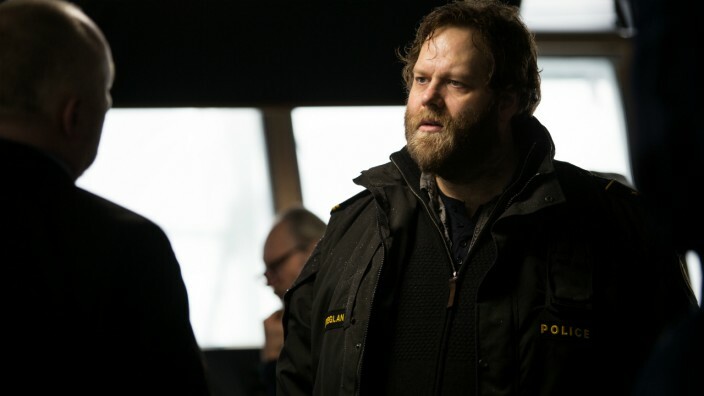 But what local sheriff Andri Ólafsson (Ólafur Darri Ólafsson) does know is that like all of the other residents of the town, and the passengers and crew of a recently arrived ferry, the killer is unable to leave. No one can get in (meaning the investigation team from Rejkjavik won’t be arriving any time soon) and no-one can get out (so everyone is stuck there, knowing any one of them could be the killer. This, as you can image, does not make anyone happy). In Season 2, things have moved on, but trouble strikes the town again, while Andri is dealing with personal problems, in the shape of his unhappy teenage daughter. The challenges for Andri and his old police partner, Hinrika (Ilmur Kristjánsdóttir) mount up: an attack on a minister, a death in a barn, a kidnapping and a worrying pile of dead fish. There’s a scene, part-way though season one of this Canadian drama, that might you make wonder if it’s going to be just a bit too confronting. Stick with it. This atmospheric thriller is top-shelf viewing and superbly cast. Billy Campbell is excellent as detective John Cardinal, brought back into the Algonquin Bay homicide unit when an old case that derailed his career is re-opened after the discovery of the body of a missing girl. Now he has a new partner, Lise Delorme (Karine Vanasse), who is not what she seems. As the pair try to stay ahead of the killer, Delorme uncovers secrets from Cardinal’s past. There are plenty of twists here, enough to keep you on the edge of your seat, but not so many that you can’t follow along. You’ll get a change from all the snow and ice in season 2 – it’s summer in Algonquin Bay, but the warmer days bring with them another victim. This one is still alive, but she’s got a bullet lodged in her brain. She has no idea who she is, or who shot her. And in season three, a grisly double murder pushes Cardinal and Delorme to breaking point. Well, Cardinal might just be there already, but we can’t tell you much about that without giving away a massive spoiler. 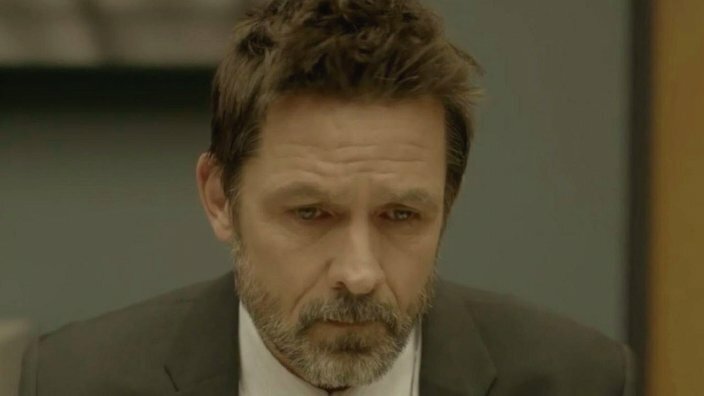 So just take our word for it, Billy Campbell has plenty of reasons to show just how well he can play a smart, dogged, sensitive – and sometimes – tortured lead. Don’t wait too long to jump onto this one – season one is only available until the end of April. ‘Brooklyn Nine-Nine' renewed for season 7! Bingpot! 'Brooklyn Nine-Nine' season seven is coming to SBS VICELAND and SBS On Demand.